This and That » board - What else would it be? 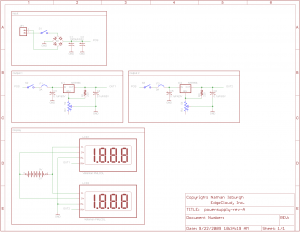 So I’ve spent a couple of weeks looking for a good tool to handle schematic capture and PCB layout. At first I tried various free tools from the cheaper PCB fab houses like ExpressPCB and Pad2Pad. They were ok, but I ran in to limitations pretty quickly. And the bigger problem was the lack of adequate parts libraries. I didn’t want to spend hours and hours laboring over footprints that should already be available. So, after some more research, and high marks from hobbyists and professionals, I started working with Eagle 5.6.0. I am extremely pleased with this tool. I’m currently using it as freeware, which is great because for most hobby type electronics, it’s more than adequate. Plus, if I need more power, I can upgrade the license at a fairly low cost. I even created a custom library to handle off-board components like pots, LEDs, etc. Overall, I’m impressed with the drafting abilities of Eagle, and will continue using it for future projects. Now the next question was the PCB layout software. How good was it? Did it have the all-important auto-routing functionality? 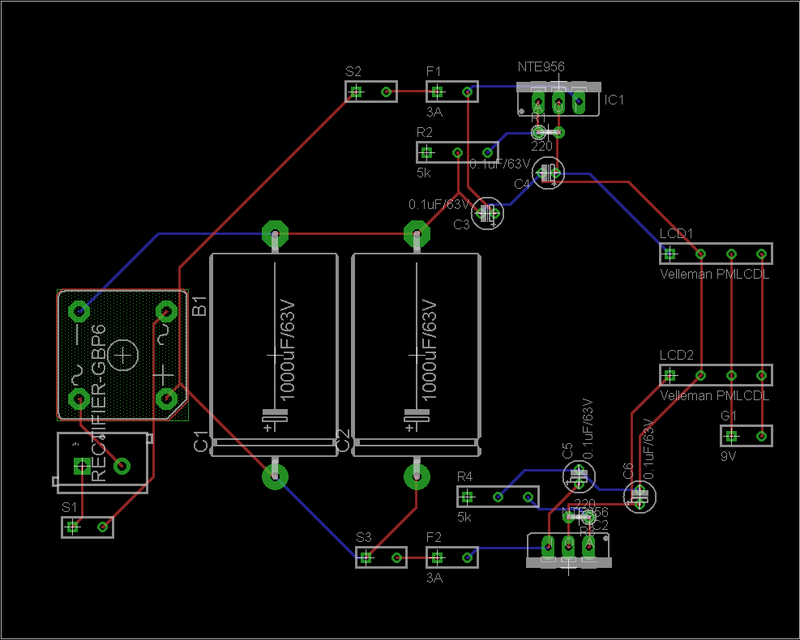 For most prototypes and simple one-offs, I like auto-routing. It provides a good starting point, and can help you solve routing issues in ways you hadn’t considered. 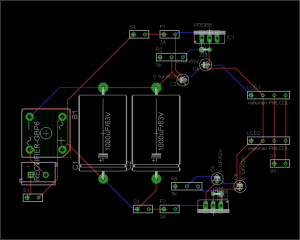 Well, here’s the PCB from the above schematic. Note that I only spent a few minutes laying out the components. The silkscreen needs a lot of tuning. There are certainly better ways to lay things out to economize on board space and simplify routes. Also note that I currently don’t have dimensions on heatsinks, which are an absolute necessity in power circuits like this. Still, this simple project should give you an idea of the power available in Eagle. 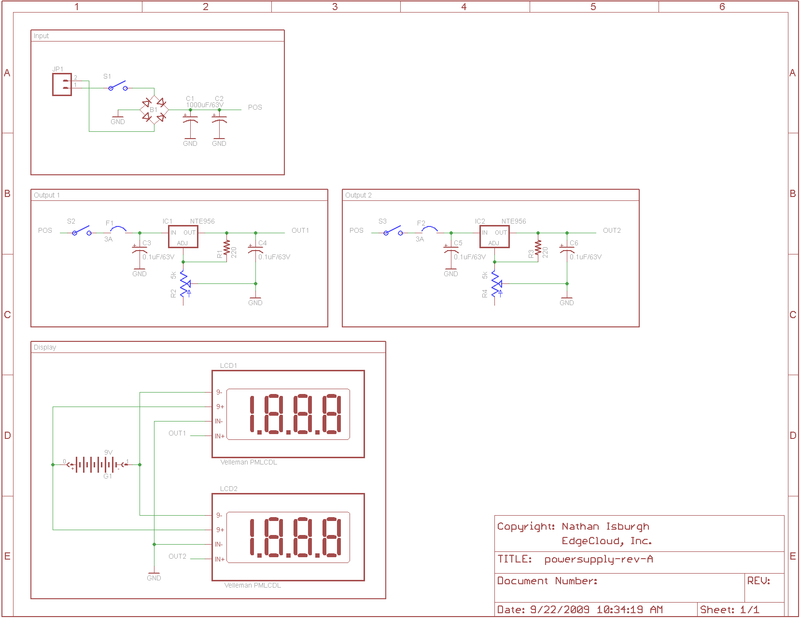 I’ll start providing libraries, schematics and boards on projects like this and others as soon as I think they’re worth posting. Anyhow, enjoy Eagle and share your thoughts/comments on it and other EDA tools!